Finally: Photon Bolt is available as a free version including 20 concurrent user (CCU )in Unity’s Asset Store since a couple of weeks. 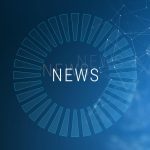 The emergence of battle royale games like PUBG or Fortnite brought a new wave of attention and some positive pressure on our Photon Bolt roadmap. We are happy to finally provide not only a free plan for Photon Bolt, but also introduced Photon Bolt Pro which aims at – you guessed it – professional teams. This time we tried to communicate Bolt’s CCU based pricing and the changes in features crystal clear, but found that our legacy Bolt customers had some question we did not anticipated. This post aims to fix this and provide the right answers for everyone, but if you miss anything: please join Photon Bolt’s Discord channel here. 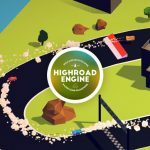 Photon Bolt is particularly ideal to build realtime multiplayer games with a dedicated server architecture – and with Unity. 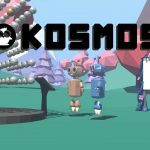 In that sense it is comparable with (the soon deprecated) UNet, but is a mature, stable product which is used by a lot of successful games such as top-seller The Forest, indie-hit Lost Castle, cross-platform release Zombie Vikings, or Ylands by top-studio Bohemia Interactive plus countless games more. 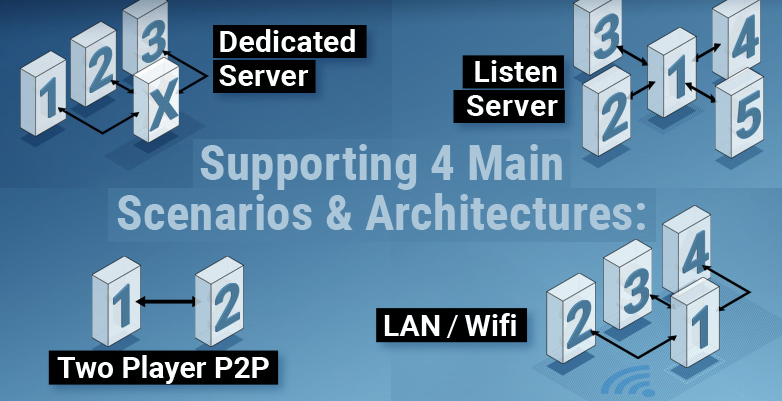 Next to Bolt’s focus on dedicated server games, it furthermore supports listen server architectures, p2p for 2-player games and LAN/Wifi games. Photon Bolt allows you to develop for free with the included 20 concurrent user Photon Cloud plan. Photon Cloud handles matchmaking, initiates punch-through and provides a global relay to make sure your players can always connect. The initial connection is always established via a Photon Cloud room in any scenario including LAN/Wifi, but once a punched connection is established the clients are connected directly. 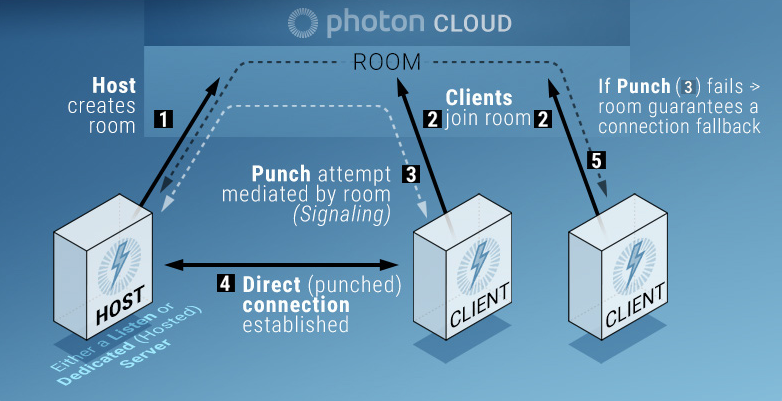 Photon Bolt Pro additionally allows to establish a direct connection without a mediation via a Photon Cloud room. 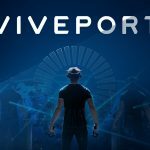 are of course not only extremely handy for multiplayer genres such as 1st or 3rd person shooters, battle-royale and survival games, or any other (authoritative) action game, but also for any drop in/out game that don’t need a dedicated server: VR/AR/MR games, party games, action games or RPGs. 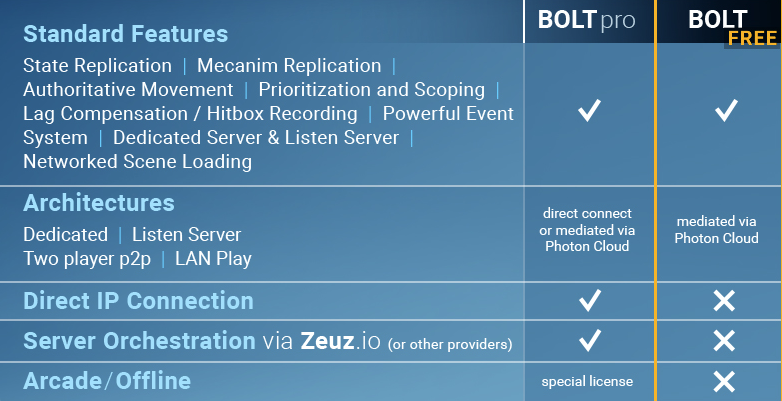 Photon Bolt Pro comes with some additional features for e.g. direct IP connection and with server orchestration via Zeus.io or any other provider you prefer. The number of users allowed to connect to your application is defined by its CCU. For Bolt’s paid plans the CCU total is defined by the sum of peaks for all Photon Cloud regions. 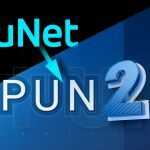 To avoid any misunderstanding: all users that are playing your game at the same time are counted as a CCU no matter if they are connected via Photon Cloud relay or directly after punch-through. We know that some people still want back the old $95 one-off payment model for Bolt, but it is impossible to create a viable business that way. In order to secure Bolt’s long-term development we adapted the pricing according to our other multiplayer products to a CCU-based pricing a while ago. If you are a legacy customer you are of course allowed to use the product under the terms valid on your purchase date. Is Bolt the Right Product for Anyone? Bolt is the perfect product for professional developers and experienced teams. It provides all these teams need to build the next PUBG or Fortnite, but with Unity. Developing a multiplayer game with authoritative server logic requires profound coding knowledge, meaning Bolt is rather not suited for beginners. We are working on updating our documentation how to set-up a dedicated server game at the moment. Please note that you need to take care of hosting dedicated servers yourself including any associated costs. Join the active Photon Bolt community on Discord, read more on our website, check out our online docs and API documentation.